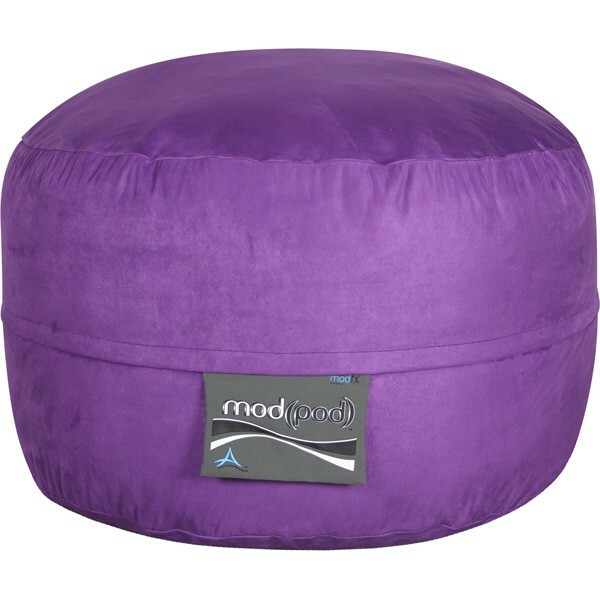 The Mod Pod single 4-foot bean bag lounger in bright purple is the perfect addition to your playroom, den, or other casual furniture areas. 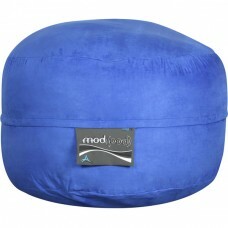 This seat can substitute for a loveseat or a small sofa and provide a relaxing spot for anyone. Whether you are looking for adult furniture for a den or bedroom or junior furniture for a playroom, this seating is appropriate for every member of your family. 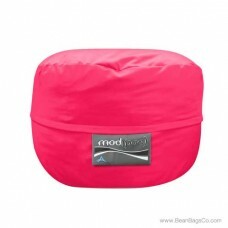 The outer covering is hand-sewn of solid suede fabric that cleans easily without harsh chemicals; just wipe it clean with a damp cloth. The soft outer plush fabric provides a soft surface against your skin and brightens up your room with its fun and exciting deep purple color. The interior is also quality crafted of 100 percent recycled, eco-friendly polyester fiberfill that cradles your body in ergonomic support. 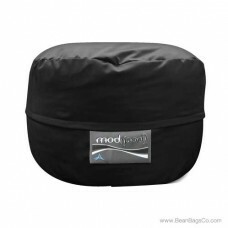 No matter how you use your bean bag lounger you will enjoy the comfort and quality of this piece for years to come. 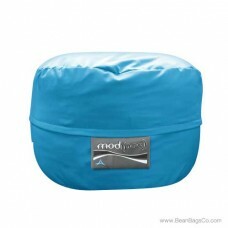 Indulge yourself in a fun and functional lounger that will satisfy every member of the family.